Day three in Québec City brought sunny skies and fast tracks. 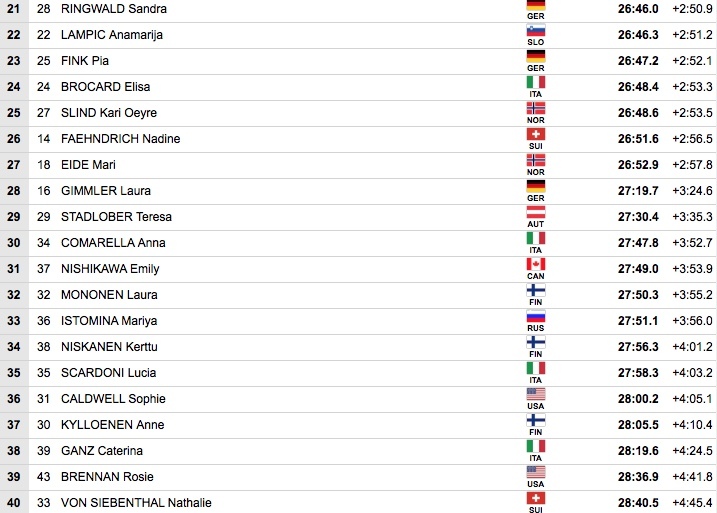 The first starter on the day for the 10 k freestyle pursuit, Sweden’s Stina Nilsson, took the win and with it the Québec City overall. 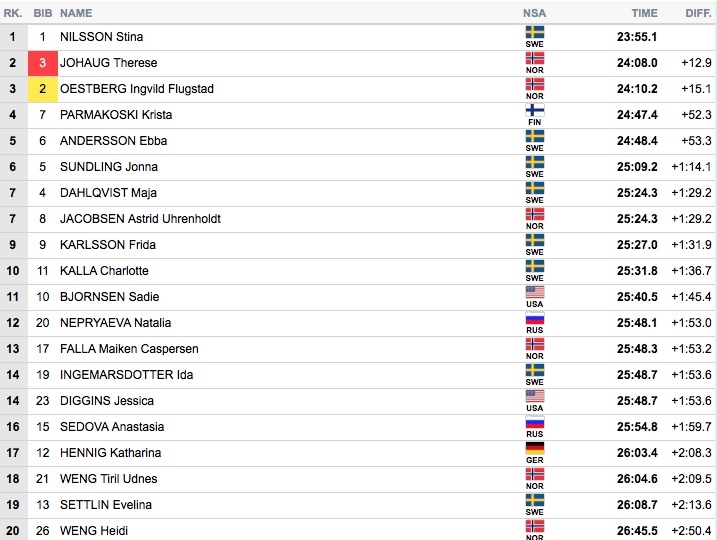 Nilsson began with a 33.2 second lead over Norway’s Ingvild Flugstad Østberg in second and a 49.4 second lead on third starter Therese Johaug, also of Norway. 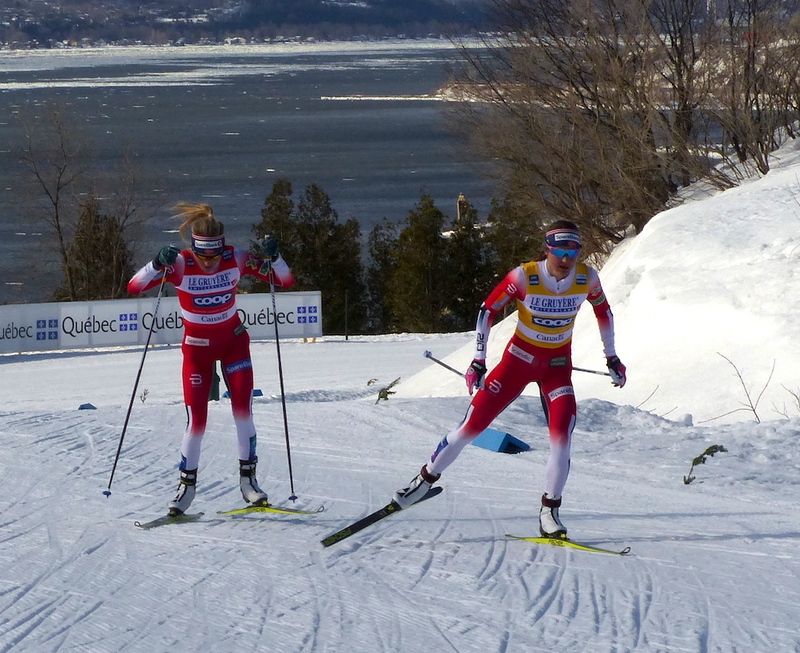 Nilsson won in a time of 23:55.1 with the chasing Johaug and Østberg running out of real estate on the Plains of Abraham. 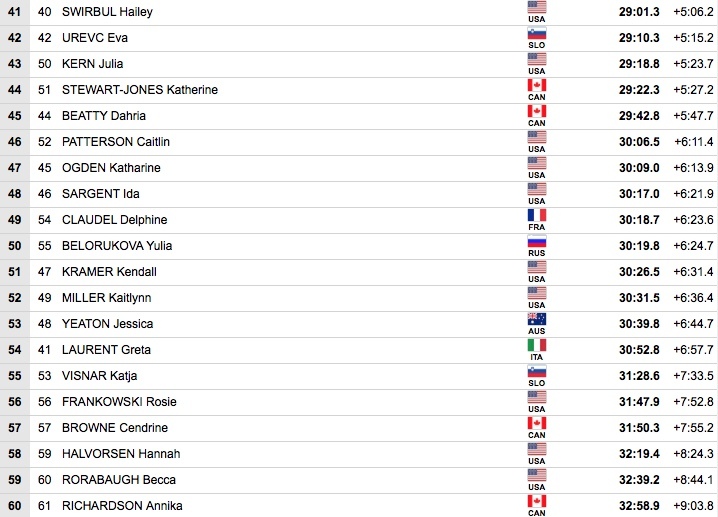 For the U.S., Sadie Bjornsen placed 11th (+1:45.4), Jessie Diggins moved up to 14th (+1:53.6). 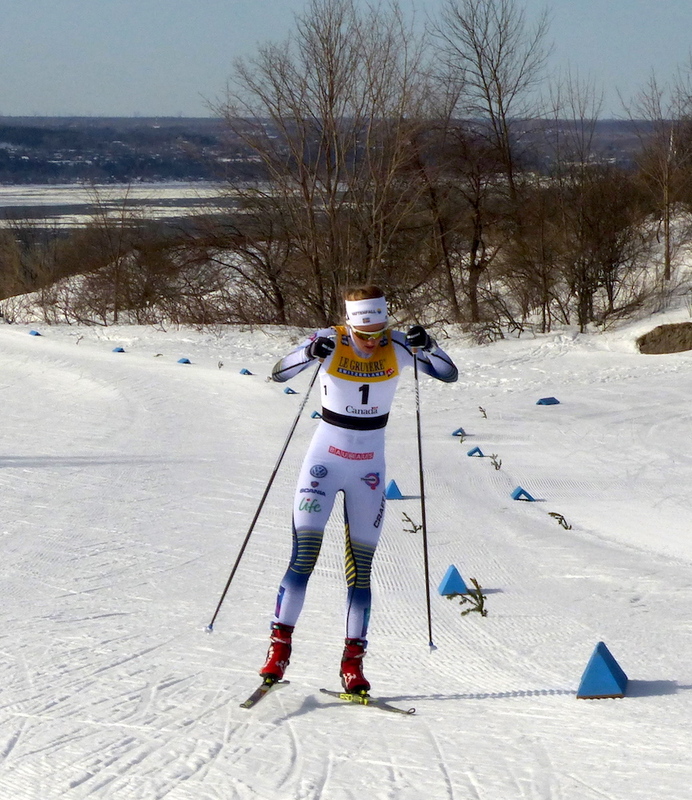 Canada’s Emily Nishikawa began as the 37th skier and placed 31st (+3:53.9).